Have you ever suffered from Amazon sales ranking fever? It’s a strange condition that takes over an author’s brain and compels him or her to continually peek at their book’s Amazon sales ranking throughout the day. Each time you look, you pray for the ranking to improve before you check it again in another hour. Some authors even awake in the middle of the night to check their rankings before the sun comes up. You can try going cold turkey and forbid to visit Amazon’s website. But, freedom from “sales ranking fever” may require a serious intervention, which is why I wrote this article. I’ll admit that I’ve battled this condition, and some of my consulting clients struggle with the problem. It can be addictive to see how your books are performing on Amazon, because they sell more books than any other retailer. Besides, it’s fast way to gauge sales without having to call your publisher, pay for an expensive BookScan account, or wait for a royalty check. However, most people know that an Amazon sales ranking must be taken with a grain of salt. Jeff Bezos guards their secret algorithms like gold in Fort Knox. No one knows how accurate the rankings really are. In fact, even the staff at Amazon has admitted their system isn’t completely precise. Thus, why even bother? Amazon sales rankings actually provide helpful clues about the performance of a book during a campaign. Plus, the rankings can help compare how similar titles are faring against each other. Since Amazon practically owns the book retail market, it’s easier for authors to judge immediate response to specific marketing activities by checking one website. In addition, the rankings give self-published authors a way to prove that their sales can sell every bit as well as an established writer. What do Amazon sales rankings really mean and should authors care? An Amazon sales ranking only gives a ballpark idea about a book’s actual sales. Their system updates rankings every 60 – 90 minutes, so the numbers constantly fluctuate throughout the day. A book could have a good ranking in the morning and a worse ranking that same evening. Therefore, you never get numbers that are solid enough to make big decisions on its own. At best, the rankings can show real-time sales momentum or a lack of consumer interest. If you want to draw any real conclusions, it’s always best to include actual sales data from more reliable sources, such as Nielsen BookScan. But, is it possible for Amazon rankings to give any reasonable insights? Here’s an example. Note: Numbers are an estimate and ONLY reflect print book sales at Amazon. E-book sales and other retailers are not included. 1. A good Amazon sales ranking doesn’t mean you’re selling many books. As you can see above, a good ranking between 2,500 – 7,500 means you’re only selling anywhere from 5 – 75 books per day. That’s quite a wide range. And, even selling 75 books a day doesn’t mean you’ll get rich anytime soon. If you maintained that level for 30 consecutive days (75 x 30), you still only sell 2,250 total units. Therefore, there is NO reason to brag or get depressed about your Amazon sales ranking. The only authors selling a ton of books on Amazon are those with rankings less than 500 who maintain that level for several months. Those are the icons of the industry with major publishers and massive resources behind their book campaigns. As another example, I consulted on a backlist book that consistently maintained an Amazon sales ranking of less than 500, which is amazingly rare. Yet, it typically sold only 2,500 – 3,500 copies per week. Sure, that’s way above average, but no one is retiring to a private island on those numbers. 2. If you tell people your book is a #1 bestseller on Amazon, it means absolutely nothing. Any author can mount a marketing campaign that temporarily spikes a book to #1 for a brief period of time – maybe one day or two. But, that spike is a fleeting moment, which quickly drops off. If a book gets to #1, you could use my chart above and guess that it sold 100, 250, or even 1,000 copies in one day. That’s good, but it’s still not that many copies sold. Telling people your book made it to #1 on Amazon is like telling people you’re the fastest runner in your neighborhood. What if I told you that I’m the fastest runner in my neighborhood? Would you know if it’s true? Would you even care? No, because it’s a silly claim that sounds ridiculous. Likewise, authors who claim to hit #1 on Amazon look foolish, because they take an unverified number and make a big deal out of it. However, the public doesn’t look very smart when no one challenges these authors’ preposterous claims. Authors who claim to be #1 on Amazon don’t tell you it was actually a small abstract category, such as women’s issues, advertising books, or even “children’s pig books” (yes, that category actually exists). These arbitrary categories are a distant cousin of the main Amazon Top 100 sales ranking list. And, if you know anything about distant cousins in real life, they’re usually out of touch with the main family. Authors who make silly claims about their Amazon ranking tend to ignore solid principles that could actually help sell more books. For instance, what if I touted myself as the “#1 Book Marketing Consultant in the World”? Who sets the standard and how would anyone know the difference? I could display that title on my website, but you’d probably think I was a phony and question my ethics. Marketing a book requires hard work that can already make an author seem a little crazy. Why make things worse by creating silly claims about a book’s Amazon ranking? Being an author with a book on Amazon is a rare achievement by itself. We get the unique opportunity to educate, inspire, and entertain the world. There’s no need to work ourselves into a frenzy and manufacture false accolades. Now you know what Amazon sales rankings actually mean. Take my advice and use this article as a prescription to avoid getting Amazon fever forever. Wish you could sell more books on Amazon? Watch a sneak peek and learn the secrets in my online video course, Mastering Amazon for Authors. It’s already helped over 150 students discover how to maximize book sales at the world’s largest retailer. 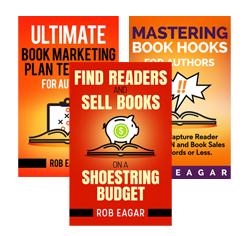 You say, “Even if you maintained sales of 75 copies per day for a really long period of 30 consecutive days, you would only sell 2,250 total units.” One of my books has actually done that in certain months and I consider that quite profitable. I earn $8 Canadian in pretax profits (after paying for printing costs) on every print copy so that works out to a monthly pretax profit of $18,000 Canadian. That’s pretty good for me given that I am 68 years old and lived under the poverty line for several years between the ages of 30 and 40. Regarding your comments about bragging that your book is a “Amazon best-seller” or claiming to be an “Amazon Bestselling Author”, I totally agree. I would never stoop that low myself. John Kremer, author of 1,001 Ways to Market Your Books”, did a separate blog post based on a comment I made regarding this topic on one of his other blog posts. In short, even though my 15 books have sold over 965,000 copies worldwide and some of them have sold between 50,000 and 80,000 copies in print, I consider only three of them to be true bestsellers — those that have sold over 100,000 copies in print. I’m also a Canadian author, and published my first Kindle book in early 2013. At first I took photo snapshots of my book on Amazon when it launched, including when it reached #1 in various niches I had listed it in. I expressed online how it was a best seller when it had only been online for a week. Then after the first month sales plummeted until/unless I did promotions for it. I quickly learned about the fluctuating rankings on Amazon, and removed the incriminating evidence that I had ever bragged about my book’s sales. I was a newbie! That being said, whenever I see authors brag on their Amazon Author page or even post a sticker on the cover of their book that it’s a “1 Amazon Best Seller”, I immediately assume either they’re being unscrupulous and dishonest, or that they’re a newbie and don’t realize how they look when they say that. I know I didn’t that first month.